Pierra Makena on her baby daddy: Most people know who he is. It is just that I have never said it myself. 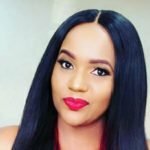 K24 DJ pierra Makena recently announced that her baby daddy has officially ditched her and their kid. Though the popular DJ didn’t reveal why, she went on to add that she’ll still manage to sponsor her kid. She has yet again opened up about the man saying that though he has never mentioned his name, he has never been a secret. “Everybody knows, It is just that I have never said it,” she said adding, “Most people know who he is. It is just that I have never said it myself.” Unconcerned She was speaking in an interview with Parent’s magazine where she also revealed why she has never bothered to say his name. “It is because I don’t owe anybody that. Ohh say this is the person I’m sleeping with. So, I let it be. I’m just like you know what, most people do know and if you look at baby and you look at the father you will know. It is just that I don’t like being the one to say it.” she said. The post Pierra Makena on her baby daddy: Most people know who he is. It is just that I have never said it myself. appeared first on Ghafla! Kenya.